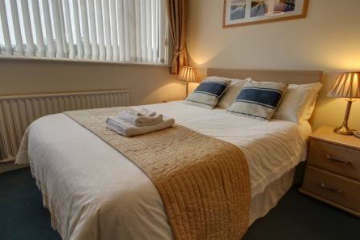 This spacious double room is located on the ground floor, beside the guest dining room, and is available for double occupancy. 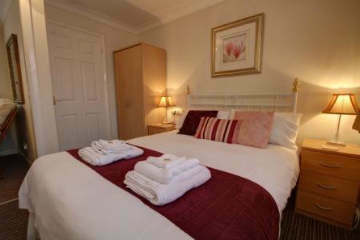 Located on the ground floor, off the main guest entrance hall, this large family room has both a double and single bed. It has level access and the en-suite bathroom contains a large double shower. 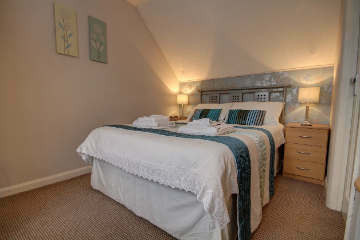 This small double en-suite room is located on the first floor. It is available for double occupancy. 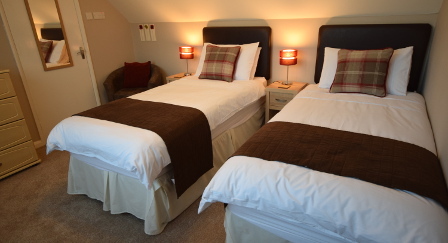 A large double room with its own private lounge area - ideal for relaxing and unwinding, located on the first floor. 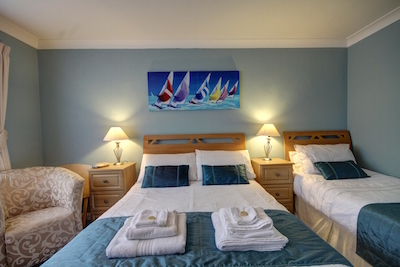 Located on the first floor, this large room has a super king bed that can be separated into two single beds. 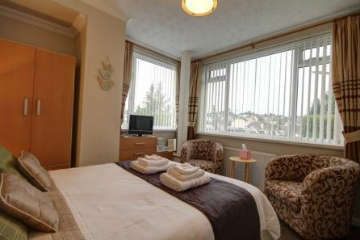 This regular double room is located on the first floor and has its own private bathroom. It is available for double occupancy. 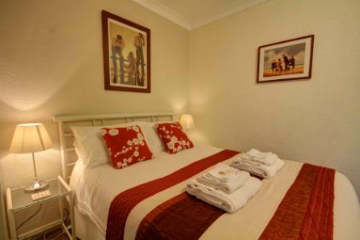 This spacious double room is located on the ground floor at the front of the guest house, and has its own entrance. It is available for double occupancy. There is limited space for travel cots in our rooms. If you have a small child who requires a travel cot please call us on 01803 853315 before making a booking to discuss your needs.